Menetrier's disease of the stomach. 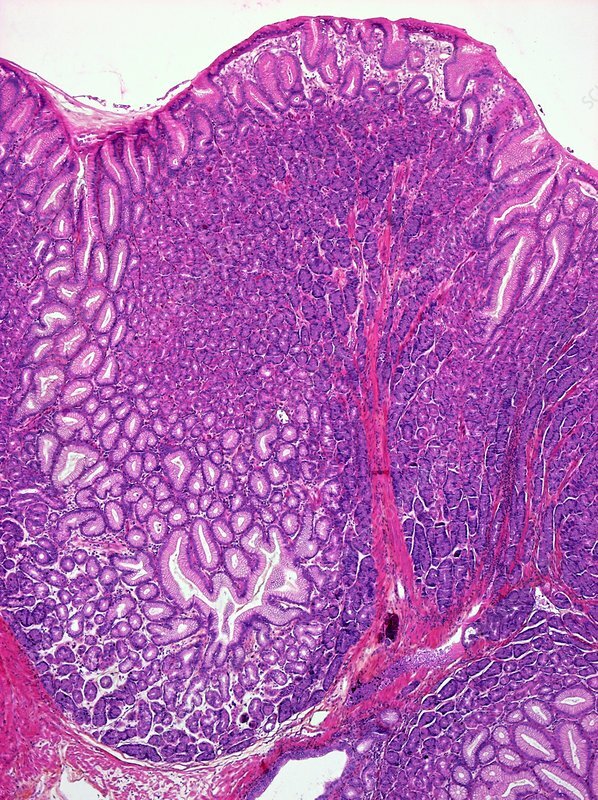 Light micrograph of a section through stomach tissue affected by Menetrier's disease. This condition causes enlargement (hypertrophy) of the gastric mucosa with accentuation of the folds, resulting from profound hyperplasia (cell proliferation) of the surface mucous cells with accompanying glandular atrophy (wasting). Magnification: x110 when printed 10 centimetres wide.